The What: Audio Performance launches its new MX Series, a multi-purpose coaxial loudspeaker systems that comes passive, active, or self powered in a compact, lightweight package. The What Else: Developed and manufactured in Echallens, Switzerland, the MX Series delivers a complete sound reinforcement solution to fulfill the highest demands of audio professionals for both the fixed installation and rental production markets. 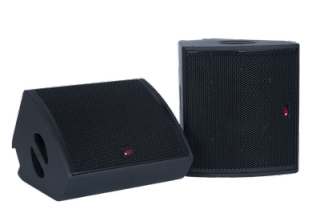 With three different models, containing 8, 12, or 15-inch coaxial drivers, the MX Series is ideally suited to sound reinforcement applications in concert halls, live concerts, auditoriums, conference rooms, and theaters.The Bottom Line: The MX Series has been designed for use with the AP5000 amplified controller. A wide variety of presets are available across the entire MX range providing the sound designer with creative freedom for any application in theaters, clubs, concert halls, broadcast, and multipurpose facilities.